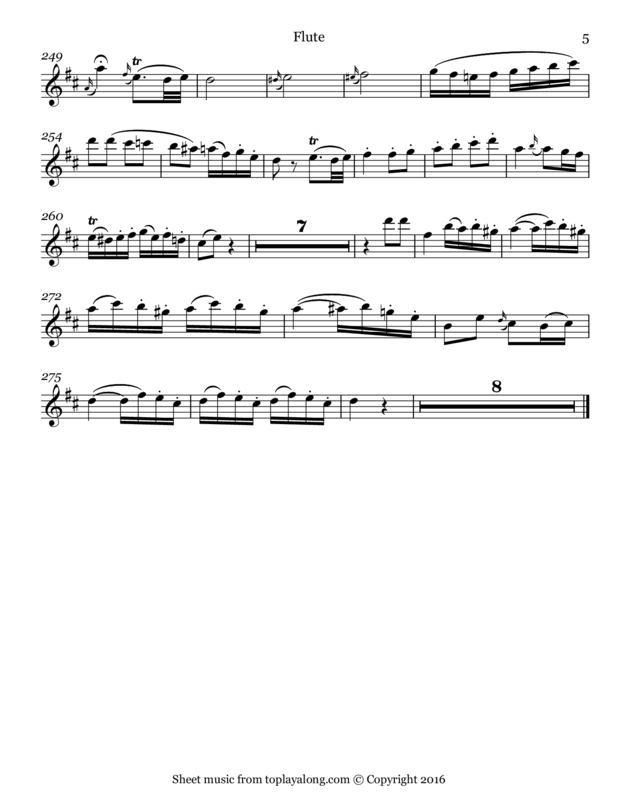 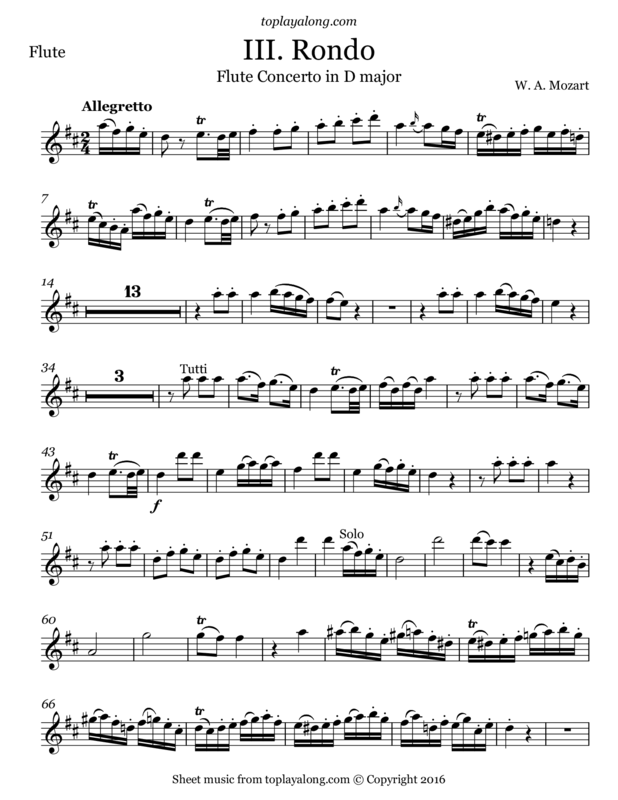 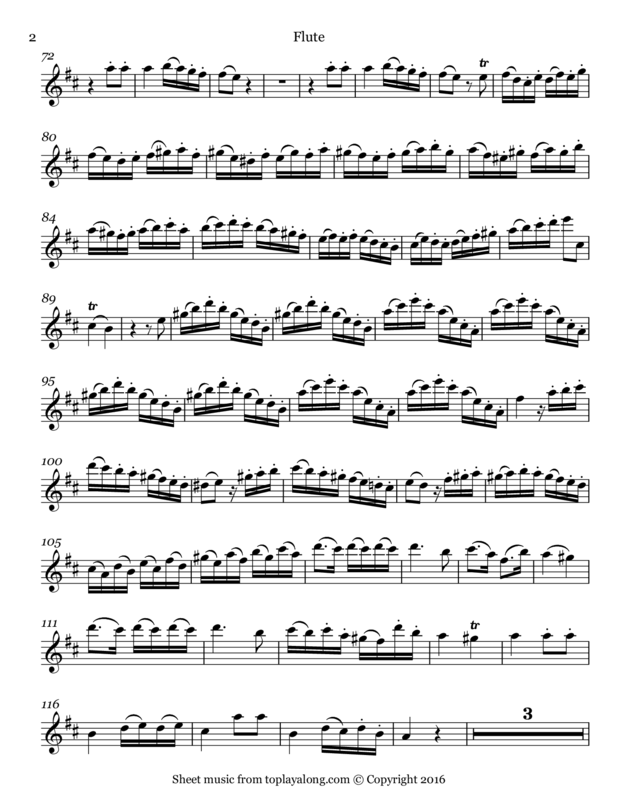 Third movement (Rondo, Allegretto) of the Flute Concerto in D major, K.314/285d, an adapted work from on the earlier Oboe Concerto in C major, K.271k. 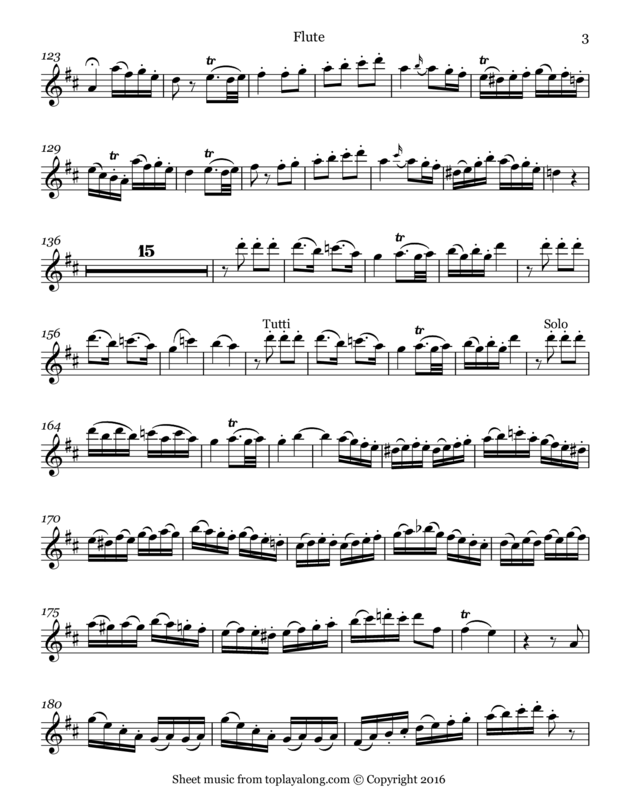 Instead of creating a new second concerto, Mozart rearranged the oboe concerto he had written a year earlier as the second flute concerto, although with substantial changes for it to fit with what the composer deemed flute-like. 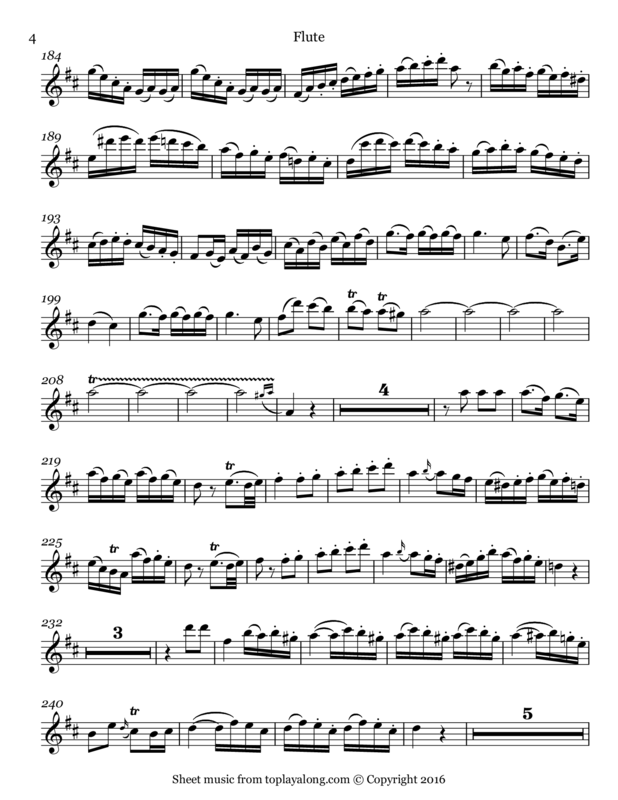 The dutch flautist Ferdinand De Jean, who commissioned Mozart for the work, did not pay Mozart for this concerto because it was based on the oboe concerto.